Taking care of a pregnant partner is not an easy job. With a lot of excitement, come a hell lot of responsibilities. There are certain things that your partner is expecting you to do while she's carrying your baby. Nothing fancy, but once in a while they work too; just some regular stuff from your side to make her feel special and appreciated. Now, if you're wondering what your role in pregnancy is, The Brunette Diaries is telling you exactly what you should be doing. No matter how many times you have to, accompany her to the doctor every single time! This is the least you can do to show you're totally in for the whole parenting thing. When at the doctor's, get all your queries answered, no matter how silly they sound. It's better to sound silly for a few moments rather than being clueless about something so important. Also Read: What NOT To Forget When You Are Pregnant! Don't just depend on the doctor to give you every detail. Do your homework and buy a few pregnancy books. You will not only get additional information, but she might also give you a bite of her large pizza! 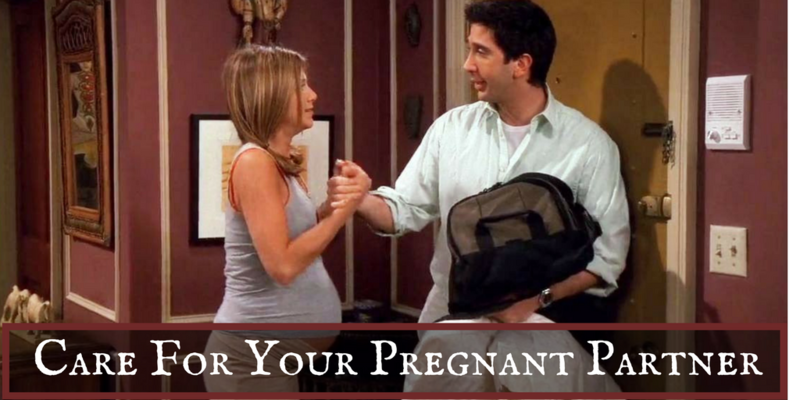 Your partner will feel uncomfortable during her pregnancy. This will be evident, obviously. Particularly in her third trimester, your wife will need a few surprise massages that will not only calm her down but will also comfort her. A foot massage will help with the swelling and discomfort, a lower back and leg massage will get the blood circulation going. So, be a nice partner and give her a massage while you're playing her favorite music in the background. Things are going to get difficult during this time. There will be times when you will lose patience, but just remember that the reason behind her unreasonable behavior is her hormones. You have to be very patient when you're dealing with your pregnant partner. Once you're in it, you're in for midnight food cravings, morning sickness, and of course, the mood swings!